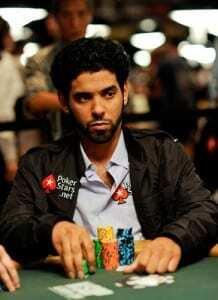 In June 1980 in Arlington, Texas, Professional poker player David Anthony Williams was born. Mr. Williams started playing with Magic at a young age much like many other professional poker players. Playing with magic lead to learning the game of poker. The online poker review sites speculate that Mr. William currently is living in Las Vegas Nevada. He is an educated man; Mr. Williams began to study at Princeton and then switched to Southern Methodist University with a concentration on economics. In 2004 David Williams made his mark in the professional poker circuit. He played in the World Series of Poker Mr. Williams won his buy in money by playing poker online. Mr. Williams did not come in first in the tournament but gather his first taste of fame and wealth. Gregg Raymer beat Mr. Williams but he walked away with almost three million five hundred thousand dollars. Currently he Mr. Williams has been victorious in wining his first World Series of Poker bracelet in 2006. Many online pokersites consider Mr. Williams as one of the most successful poker players around. Many online poker review sites say that Mr. Williams still enjoys to practice magic, watch television, traveling, and collecting sneakers. Mr. Williams is currently a member of Team PokerStars Pro and plays poker online using the screen name dwilliams.